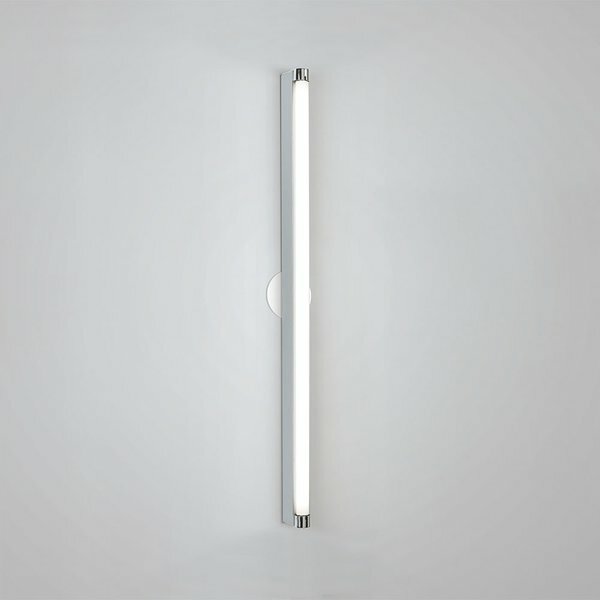 A simple linear fluorescent lamp and sleek base make the Artemide Basic Strip Bath Bar the clean, architectural way to illuminate bathrooms and vanity areas. The extruded base is available in 2 finish options, white and aluminum. The White finish comes with White end caps, and the Aluminum finish comes with a set of Silver plastic end caps.